Tinkering is what happens when you try something you don’t quite know how to do, guided by whim, imagination, and curiosity. with triumph expedition panniers on 2015 xcx its 1000mm. I had givi 46 litres on my 2013 and it was 1100. With Metal Mule balanced pannier frames and a pair of Touratech Zega Pro 38l panniers it's about 96cm wide. 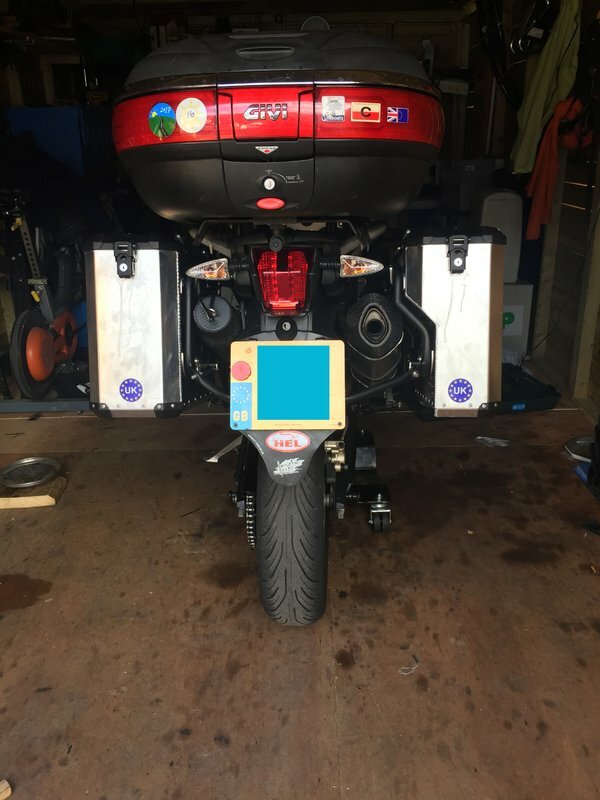 It's a perfectly "balanced set-up" although an after market exhaust has to replace the massive OEM exhaust that was fitted on the mk1 T800 to get the frames to fit. note: i had chopped my pannier rack also. I used a set of givi 21 litre panniers for shorter trips. Nice and tidy. 35 L. Pelican cases on SW-Motech sideracks -- 950mm. Luggage = 155mm wider than h/bars & 35mm wider than mirrors. and I've rosin in my pocket for my bow. and I'm well prepared to ramble I must go." What I did the first time I ran panniers,was to put 2 traps on the bars sticking out. just because you have your eyes open does not mean you are alive! Any Tiger riders who also like the 790 Adventure here? Service engine , ABS, and Traction Control Disabled warning lights ?